If you really want to make your time away count - and not just for yourself, then volunteering may be the way to go. Its not all about selflessness; volunteering is also a great way to spruce up a CV, gain skills and do some travelling within a support system, and its this that makes it an ideal choice for solo travellers who dont want to go without some kind of community and structure in place. "Pick causes close to your heart, at times your passion for what you are doing may be the only thing sustaining you." Its best to start by thinking about the causes and interests that are close to your heart. Volunteering can be physically hard and accommodation is likely to be basic so at times your passion for what you are doing may be the only thing that is sustaining you. 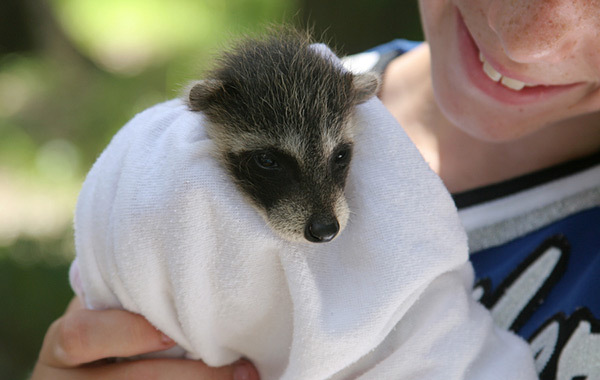 If you would like to work with animals, for instance, Go Eco (https://www.goeco.org) have a large number of conservation and animal husbandry projects that you can become involved in. If you would like to help local communities, VSO (https://www.vso.org.uk/) is a good place to start, although they do like you to commit for a longer period of time. 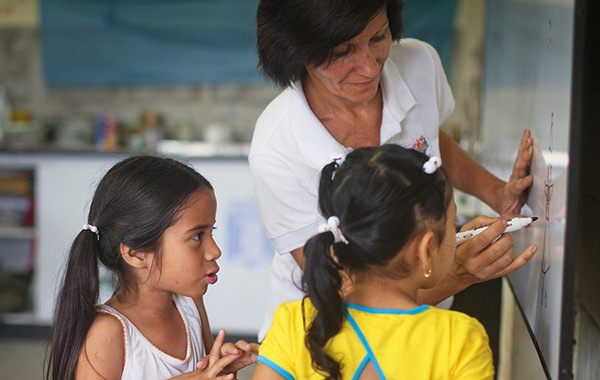 Raleigh International (https://www.raleighinternational.org/) run shorter programmes such as their programme in Costa Rica where you could be helping improve health and education services as well as protecting the natural environment. If you would rather not get your hands physically dirty then teaching English abroad, (or another subject or sport if you have the right skill) voluntarily could be a better option for you. Or you may have a driving passion for archaeology, and want to volunteer to help on a dig, or have an interest in helping a particular country or charity that is close to your heart. If you belong to a church, religious organisation or even a social organisation such as a Rotary Club, you may find that they already have links with projects and they could even help you get out there and get involved. If you have a whole church congregation or group backing your project and fundraising you are likely to find it much easier. To find out more about volunteering you can read about Jane Stanfield's experience. Volunteering is a commitment. You cant offer your time to an organisation or community that desperately needs it and then decide to go travelling because you dont like the beds/mosquitos/breakfasts. Youll be expected to stay a set amount of time. This could be as little as a few weeks, but organisations like VSO (https://www.vso.org.uk/) will want you to sign up for two years to maximise the contribution that you will make. It is for this reason many volunteers tend to be young, before they have the commitments of children, mortgages and a career path. Thats not to say volunteering is out of the question when you are older; it just takes a little more effort and organisation. People whose children have left home are in an ideal position to volunteer their time, for instance, and those who have retired even better! "Is volunteering for you? Volunteer organisations tend to work using your strengths and talents to help their community or projects; they are not there to retrain you and teach you a new skill from scratch." That said, spending a protracted period of time working with a community is an experience you will always remember and you will end up with friends for life, both amongst your fellow workers and the community you are working in. You may even decide to stay longer, or for good! There are, however, some roles for unskilled graduates. And, even though you arent there to learn a whole new skill set, you will inevitably pick up new skills which can range from soft skills such as negotiation, dealing with people and an increased self confidence, to hard skills such as language ability or IT or project management experience. It sounds counter-intuitive, but many volunteer organisations will expect you to raise money as part of your commitment. VSO, for example, expects you to raise £1500 before you start. You could just think of this as an expense and pay it out of your own pocket, but most organisations would prefer you to raise the money via sponsorship and requests for donations as this is part of invaluable work of raising the profile for the charity or organisation. Most organisations will provide you with lots of advice, support and ideas to help you with this. Other organisations may ask for a fee outright. Of course, you could possibly arrange to volunteer in a local community on your own, perhaps through contacts, but having an agency to support you is a big bonus. They will be able to organise your overseas working VISA, something which can be a hassle, and will be on hand if you have a medical emergency for instance, or just want to touch base about something on the project that you have queries about. If you would like to experience living in a commune type scenario, volunteering for a kibbutz may be worth considering. Kibbutz are generally rural settlements in Israel, but can also be based around factories. They are communities where property and income is shared and life is communal - food is cooked for the community as a whole, and eaten together. As both men and women have to do National Service in Israel, there is often a dearth of young people to take on a lot of the manual jobs (anything from laundry to cooking to working out in the fields driving a tractor) and volunteers are needed to take their places. Its not for the faint hearted - accommodation will be basic, the weather hot, and the days long (youll get up at 5 or 6am). Your stay will be behind barbed wire and and security fences, and soldiers will be a common part of daily life. For any concerns do check with the FCO before you go for current updates. "They are communities where property and income is shared and life is communal - food is cooked for the community as a whole, and eaten together." You may ask what is the appeal of kibbutz? The experience of communal living is one that can be dramatically life changing - undertaking cultural and social activities en masse is not one we are used to in the West, but if you have any socialising leanings this is one way to really indulge them! They will have a pub, pool and there are regular days off (2 a month usually) where volunteers take day trips together. If you have a religious interest, a kibbutz can be a good base from where to explore the Holy land after your stay. Visit Kibbutz Volunteer (www.kibbutzvolunteer.com/) or Kibbutz Volunteers (www.kibbutzvolunteers.org) to find out more.